Sheridan High School Math Teacher Phil Wesson has been named the recipient of the 2017 Outstanding Math Ready Teacher by the Southern Regional Education Board. Wesson will receive the award at the opening session of the High Schools That Work conference in Nashville, Tenn. on July 12. "We are so proud of Mr. Wesson," said SHS Principal Rodney Williams. "He is a high-energy teacher who brings a lot of creative ideas into his classroom. 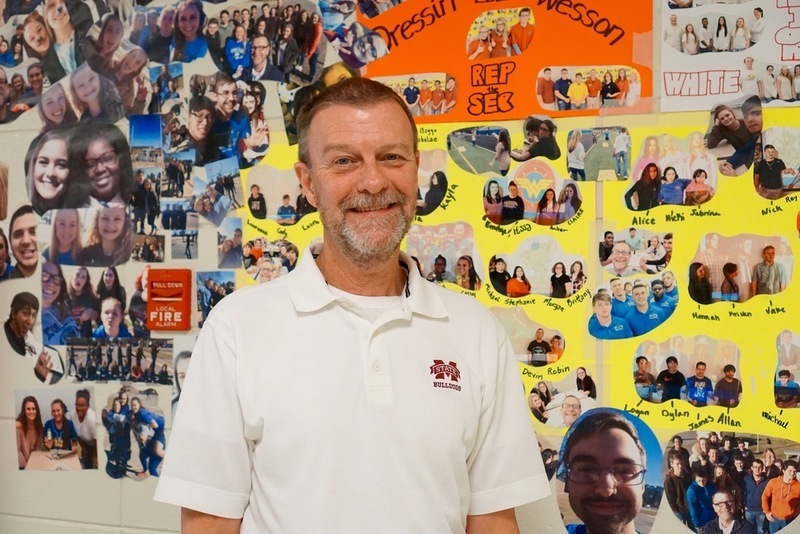 It's great to see him recognized for all he does to ensure student success." "It is an honor to be nationally recognized as the 2017 Outstanding Math Ready Teacher. I'm thankful to Becky McIver, Kim Scarbrough and Rodney Williams for their continued support throughout the years. Together we have created a positive learning environment for our fourth-year math courses. Above all, I want to thank all the students who worked collaboratively in teams to ensure their individual academic successes. Teaching them has been my highest honor."